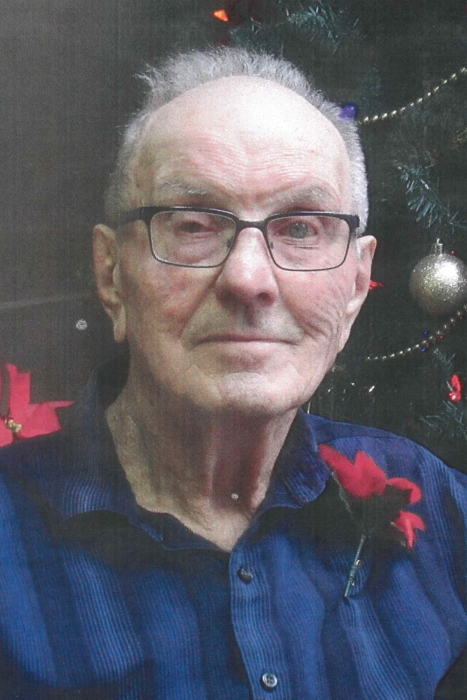 Monday, April 1, 2019 Joseph Dominique Byrtus passed away at the age of 96 in Athabasca. He was predeceased by his parents, two brothers, two sisters and his youngest daughter Carol. He leaves to mourn, his loving wife of 73 years, Onnie, his daughters Joan and Pat, his son Ronald, nine grandchildren, ten great grandchildren and one great great grandchild, as well as two sisters and one brother. Joe arrived in Canada with his mom and three of his older siblings in September 1924 from Izdebna, Czechoslovakia and settled on a farm north of the river joining his father. In December 1942 Joe joined the Army and was stationed at Currie Barracks in Calgary for basic training. In 1943 on his way to Camp Borden, Ontario, Joe met his future wife, Onnie on the train where she was returning from a vacation out West to her home in Ontario. Joe was sent overseas in November 1943 and they were married as soon as he returned in 1946. Joe and Onnie settled on a 160-acre farm north of Athabasca which they bought for $3500, including a full line of horse-drawn machinery, two old tractors and team of horses and three cows. On this farm they raised their four children. He always enjoyed hunting, fishing, cutting firewood, playing cards, gardening, bowling and many other leisure activities. When his children grew up and moved on to have families of their own, he welcomed his grandchildren and enjoyed doing all the various activities with them that he himself loved so much all these years. Joe also did a lot of charity work; he would show up at the senior center and Extendicare to call bingo or play cribbage. He would often take them a newspaper to read or take his special friends out for a drive. The elders and the less fortunate people always had a special place in his heart. After Joe and Onnie sold their remaining 80 acres they lived in their home for another four years then moved on to the senior apartments, then the new lodge and in 2012 Joe moved into Extendicare. A private family Celebration of Life was held for Joe on Saturday, April 6th at the Athabasca Legion #103. His cremated remains will be interred in the Athabasca Cemetery at a later date.